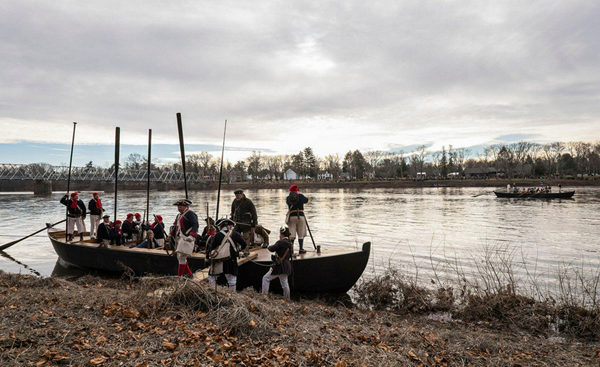 Visit Washington Crossing State Park on December 25 from noon to 3 p.m. to witness the annual reenactment of George Washington’s historic Christmas Day river crossing. During the event, several hundred reenactors in Colonial military dress will listen to an inspiring speech by Washington and then row across the river in replica Durham boats. Additional activities and demonstrations will follow in the historic village. While river crossings are contingent upon safe conditions, this year’s forecast is expected to be mild and bright. Even if weather conditions delay the crossing, all ceremonies, speeches, and commemorative activities will still occur. All events on Christmas Day are free to attend. For more information, visit www.washingtoncrossingpark.org.